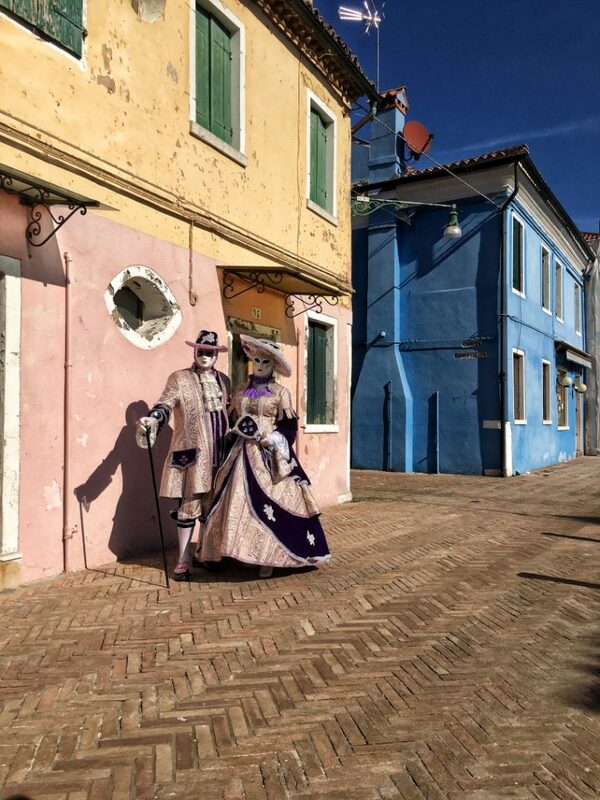 When I visited Venice in February for the Carnevale, I took a day trip to Burano and Murano to enjoy these two lovely little islands. This first piece will focus on Burano while Murano will be covered on a later post. Now, many people first stop in Murano, spend some time there then hop on a vaporetto and head towards Burano. I did the opposite. I took a vaporetto from Venezia (station Fondamente Nove) directly to Burano. Line 12 can be used for 7.50 eur/pers and, from what I remember, it took me about 40 minutes to reach Burano. 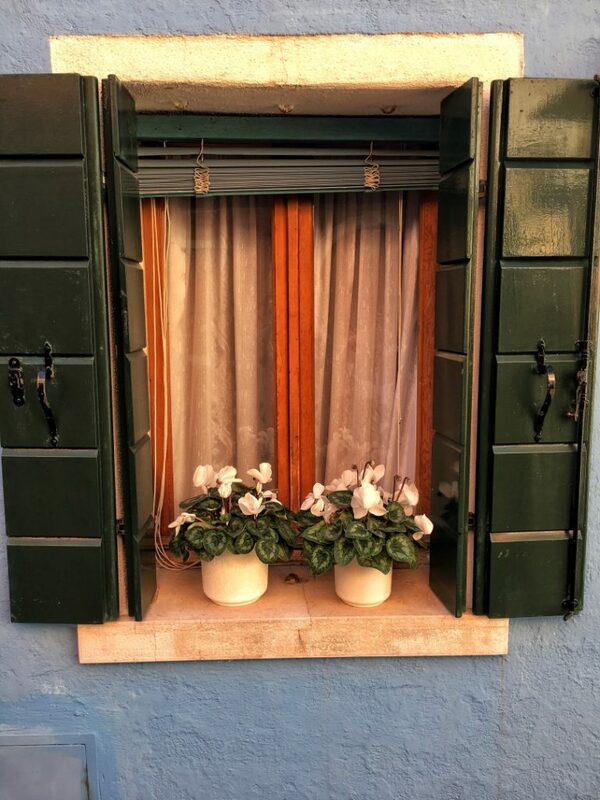 My advice after spending time in both Burano and Murano is to go yourself on these trips, write the timetable for the vaporettos on a paper (or your phone) and organize the trip yourself. It really makes no sense to pay for a guided tour because both islands are small and it really is a delight to walk freely on them, stop for a glass of spritz on a terrace, look at the people passing by and just take your time. I arrived in Burano at 9:40 and spent the next 3 hours walking around, drinking Aperol Spritz and enjoying a cone of ice-cream. Burano in the morning is really magical. Few tourists on the streets, silence, the boats on the canal, the painted houses…it was perfect. I had a really hard time choosing what pictures to put in these article because frankly I took about 150 on that beautiful sunny day in February. Regardless of how many pictures I took, I feel that they can’t really do justice to a place that is so beautiful. Seeing those houses next to each other, all painted differently, lots of them having flowers in the windows, it’s something that a camera can’t fully capture. Burano is not a big island. However, to fully appreciate it, I suggest granting yourself about 2-2:30 hours. Walk slowly, don’t rush, move along the canal, go between the houses, and walk on the small alleys. Many people think they need a map or they look for a special place, like a museum or such. In reality, this whole place is special and you don’t need anything else than time, a camera (your phone camera is good) and a comfy pair of shoes. Just let yourself get “lost” between the little streets and enjoy your time there. I was lucky enough to catch some of the costumed men and women of the Carnival and I had the chance to take some great pictures with them. Their bright, shiny, new outfits along the old houses helped me take many great pictures and some are already posted on my Instagram account. As I started going towards the vaporetto, that was going to take me to Murano, I noticed the island getting more tourists and I was even happier that I chose to visit it first. It allowed me to walk undisturbed along the canal and to take many pretty pictures without many people in them. If you plan a trip to Venezia do yourself a favor and plan an extra day or half of day to visit this place. It really deserves your attention.